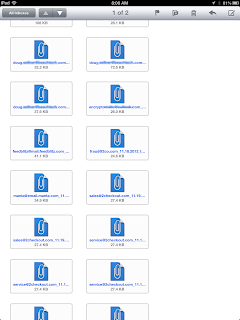 Apple iPad users who depend on email may sometimes have a need to open .msg and .eml files. Sometimes email files types come as attachments in email messages. 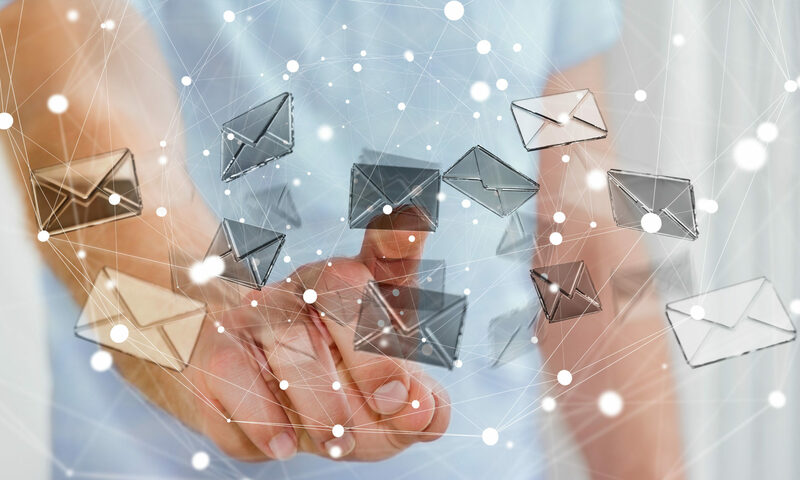 We decided to try Klammer, the email file viewer app from Kupon B.G. that is available in Apple’s App Store. 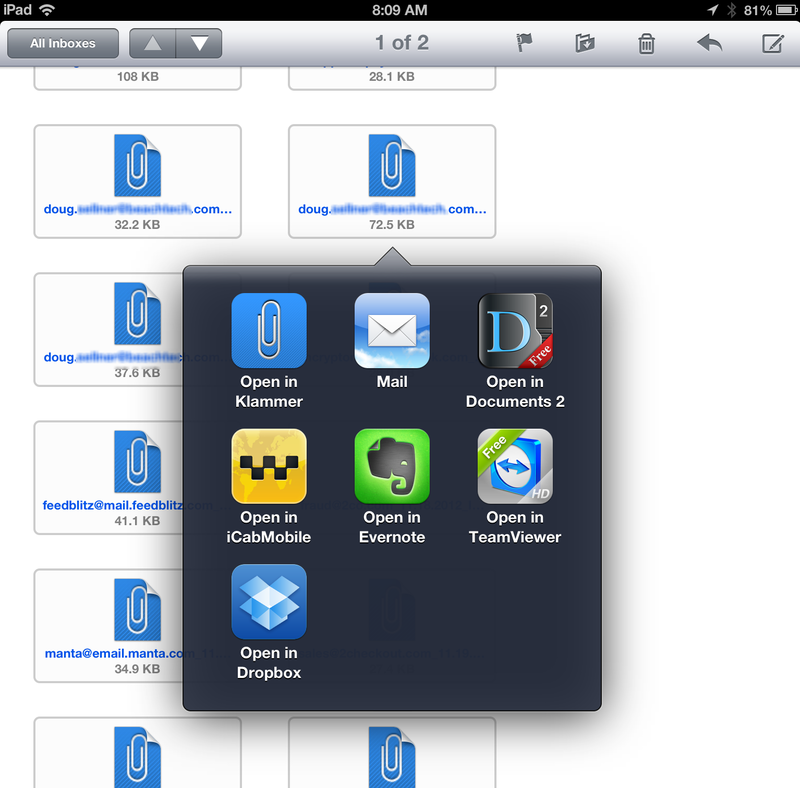 Klammer says it will open Outlook .msg files, standard .eml files, and also winmail.dat files on your iPad. 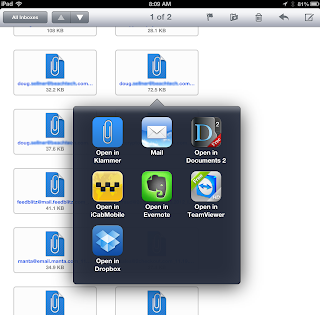 We purchased the app and took it for a spin on our iPad, testing its ability to open both eml and Outlook msg files. 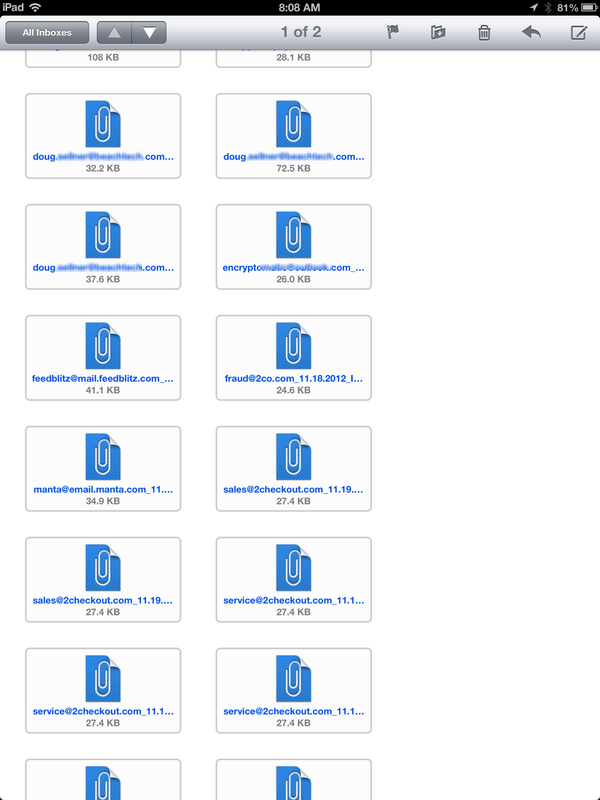 To test Klammer, we sent ourselves an email message containing a plethora of .eml and .msg files as attachments. First we opened our email using the iPad’s Mail application. 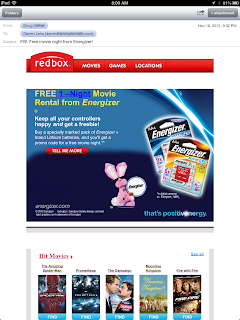 The file attachments were immediately visible in the email. To view the file attachments in Klammer, we simply touched the .eml file we wanted to view, pressing on it for a full two seconds. iPad then opened a window asking us which application we wanted to use to open the file. We choose Klammer. The .eml file immediately appeared rendered in full html formatting. Below is the result when we opened a promotional .eml file attachment in Klammer. In our tests, Klammer performed very well. We opened .msg files, .eml files, both with a mixture of text, and html formatting. 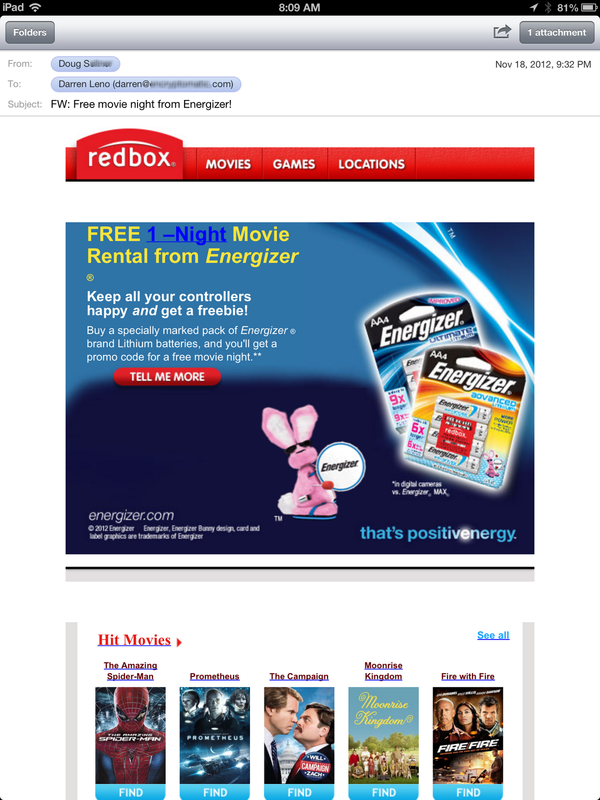 It opened every email we gave it without losing the formatting. There’s not a lot of bells and whistles with Klammer. It does what it says: no more, and no less. 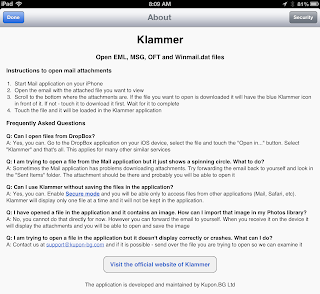 Klammer is a very simple app for opening .msg and .eml email messages. It integrates logically within IOS. When you first acquire Klammer, the cost is .99 cents. This allows you to open .eml files only. If you want to add .msg file capabilities to Klammer, the cost is an additional $1.99. Despite the publisher’s statement to the contrary, some users people get confused about this, thinking that both file types are part of the 99 cent purchase. If you are an iPad or iPhone users who need an easy way to open individual .eml or .msg files, Klammer is well worth the $2.99 investment. You can learn more about Klammer in the Apple App Store. 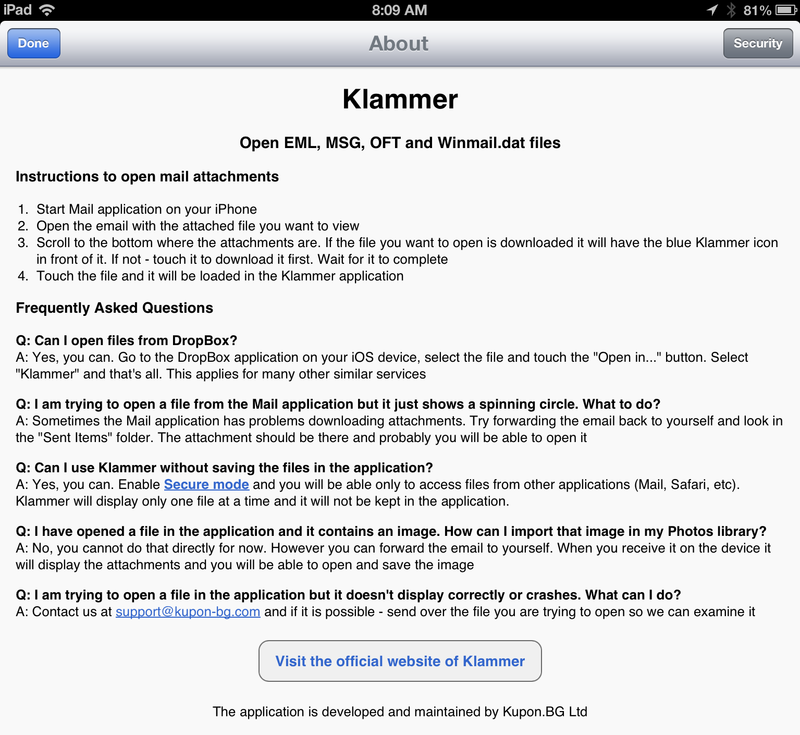 Klammer does not open eml files in iOS 7 or higher inside native mail client. The choice of Klammer does not appear in the apps listed to be chosen for opening eny eml file attachment.